A branch of the natural science which deals with the composition of substances, their properties and reactions is called chemical science. It involves the study of chemical substances on humans and animals. 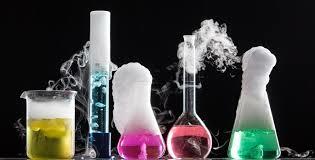 Chemistry is a discipline which involves studies on atoms, molecules and their elements. It deals with the study of their composition properties, structure, and behavior. The changes they go through when reacted with other substances. Edelweiss Chemical Science Journal corresponds with many branches of science like organic chemistry, inorganic chemistry, physicalchemistry, pharmaceutical chemistry, analytical chemistry, applied chemistry, biochemistry, chemical biology and many more. This Journal provides an open access platform for the young scientists and researchers from all over the globe to share their valuable information regarding the chemical science. Edelweiss publications include rigorous peer review process and high scientific publishing standard to ensure superior contribution to scholarly literature added with high quality production.